Could a Nintendo 64 Classic be on the horizon? On Tuesday, Nintendo filed four trademark applications with the European Union Intellectual Property Office (EUIPO). They were all for Nintendo controllers. Two pertained to consoles currently in circulation, namely the Switch and the now discontinued NES Classic Edition. One was for the upcoming Super NES Classic Edition. 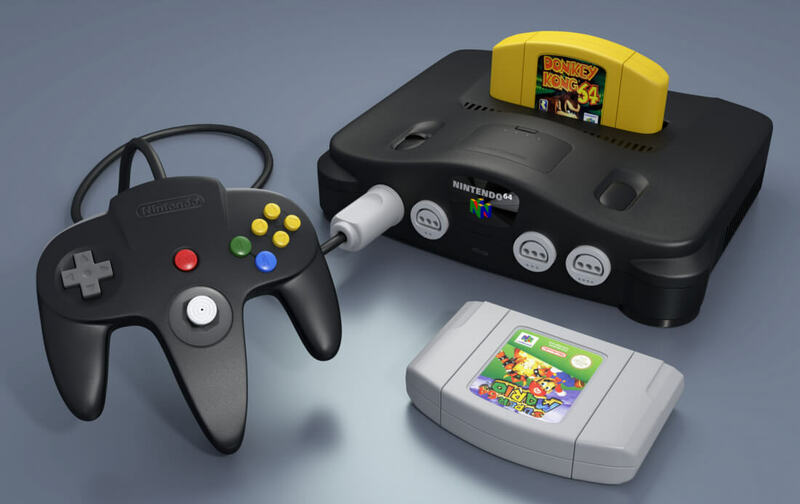 The fourth was a controller for a console that is not even in circulation anymore except among collectors, the Nintendo 64. All applications are filed as "consumer video game apparatus" and similar designations. Why would Nintendo file paperwork with the EUIPO for a controller on a console that they quit producing in 2003? While nothing has so far been announced, the chances are high that Nintendo is planning to release an N64 Classic Edition sometime in the foreseeable future. While this is merely speculation, it's a logical conclusion considering the company’s recent actions regarding retro gaming and the consumer response to it. When Nintendo re-released a miniaturized version of the NES last November, it sold out almost immediately. When the company discontinued the plug-and-play console last April, it was in high demand and still is. The box retailed for $60 on release, now you are lucky if you can find one being resold for less than $200. Amazon currently has the device listed at $227.95. That’s almost as much as you would pay for a current generation console, and this is a game system that only has 30 games. Nintendo is now poised to release the Super NES Classic. This mini console will only have 21 games, but one will be the never released Star Fox 2, which alone has some people ready to fork over the $79.99 suggested retail price or more. It is likely that the SNES Classic will sell just as quickly as the NES did, even though the company has promised to release significantly more units this time around. Still, if Nintendo follows the previous pattern, we may see supply cut off early and high resell prices for the mini console, but more importantly, it might set us up for a 2019 release of a Nintendo 64 Classic. 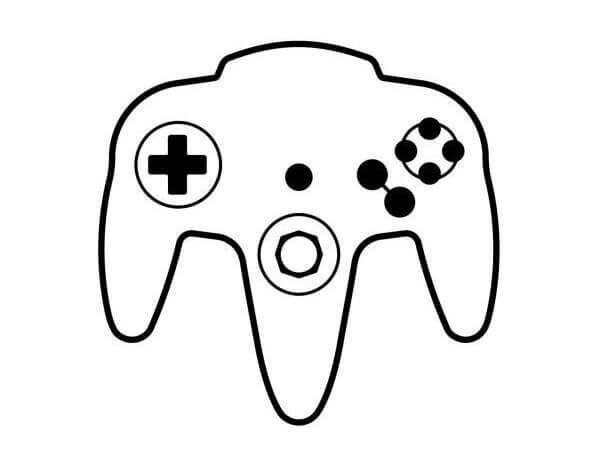 Another thing that dials up the chances for an N64 re-release is the controller logo included with the filing documents (above). The NES Classic had a similar logo on the box lid, on the official Nintendo web page, and on the IPO filing for it. Likewise, the announcement page for the Super NES has the same logo that is shown on its IPO filing as well. It makes little sense for Nintendo to go to the trouble of filing nearly identical paperwork for the N64 unless they are going to do something with it. My prediction is that we will for sure be seeing a Nintendo 64 Classic at some point and quite possibly in 2018, but that's just my guess, so take it with a healthy pinch of salt. The Super NES Classic releases on September 29, and an announcement from Nintendo on an N64 Classic will not likely come before the company decides to discontinue the SNES. We could have at least a year before we hear anything official. My biggest issue with any of these, and others have stated this too, you cannot get any additional games for them with out hacking and etc. Reehahs, Cal Jeffrey and ForgottenLegion like this. Nintendo makes some wierddddd decisions. ForgottenLegion and Cal Jeffrey like this. And then comes a Game Cube Classic and then a Wii Classic and then a Switch Mini, then maybe, just maybe a new console. Maybe. Nintendo Japan who pulls all the strings is run by chimps. Saying that they've all but abandoned the DK IP so who knows. I can't wait for the inevitable N64 Classic console. I hope it comes with Goldeneye, Pokemon Stadium, Mario 64. Still the best console of all time, by far. It seems to me big game dev is collapsing. With each previous generation has come a bunch of hype around new titles, delivery of said titles, and high hopes for the future. This time around the biggest hype makers are remakes, remasters, and now the remanufacturing of old consoles. Not good. Goldeneye (and Perfect Dark) are unlikely. Recall that Microsoft owns Rare (and I am assuming by extension of that they own the license to 007 and PD). N64 Classic, that I would be very interested in, but really only for Super Smash and the Zelda games, you know screw it, just re-release the original controllers and I'd be happy to get my hands on virgin sticks that have not been obliterated by people playing Mario Party. Third party options are just not the same and don't respond properly. The NES classic, meh, but I'd like to have one just to have one at $60, same goes for the SNES, but good luck with that and I all but refuse to wait in line for one. I'd be all over this. I'm not a big console fan, but have owned plenty. And that one was hands-down my favorite. Some unbelievable classic games with that console - Goldeneye, Super Mario 64, Diddy Kong Racing, StarFox 64, The Legend of Zelda: Ocarina of Time, and the list goes on and on. I think emulating the N64 via PC would be a better experience, but I'd probably purchase one out if support. I have many fond memories of that time, and the games released for the N64 are still some of the best out there. Internet cookie for you! Goldeneye was my absolute favorite! I still pull out my N64 every then and now to replay it. I have a Pi with RetroPie setup, a wireless xbox 360 controller mapped, and every older game under the sun downloaded. It works very well, but for some reason I still want these classic systems. I think it has something to do with holding the actual proper controller. Just get controller to USB adapters. I have them for my SNES and N64 controllers. WHY?!?! the N64 is the one system that aged the least well. Nintendo put a stop to Rare releasing a Goldeneye port on Xbox Live Arcade some time back so it's possible that Microsoft will block Nintendo this time and I doubt Nintendo are nice enough to share profits with Microsoft and do good by the fans, we all know how Nintendo treats die hard fans. It's the blurred 3d graphics don't stretch well on moden TV and fact the nearly every pad anoalog stick is loose.